Welp, I was at it again -- it only took me about a month and a half -- baking, that is. 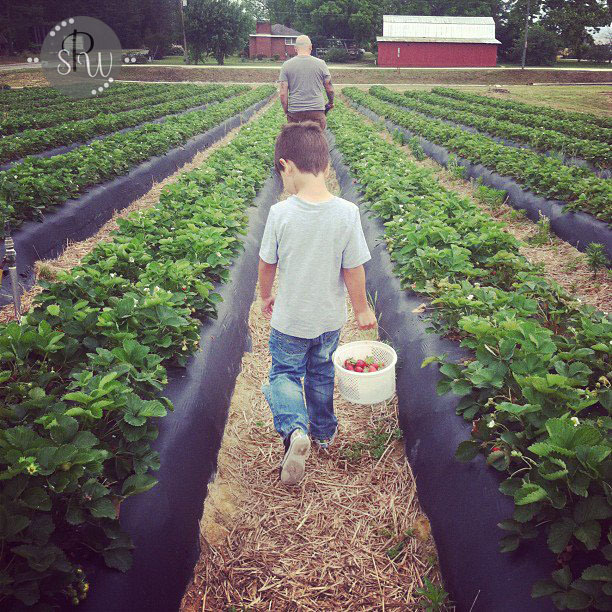 For Mother's Day, I wanted to go strawberry picking. I mean, how fun does that sound? 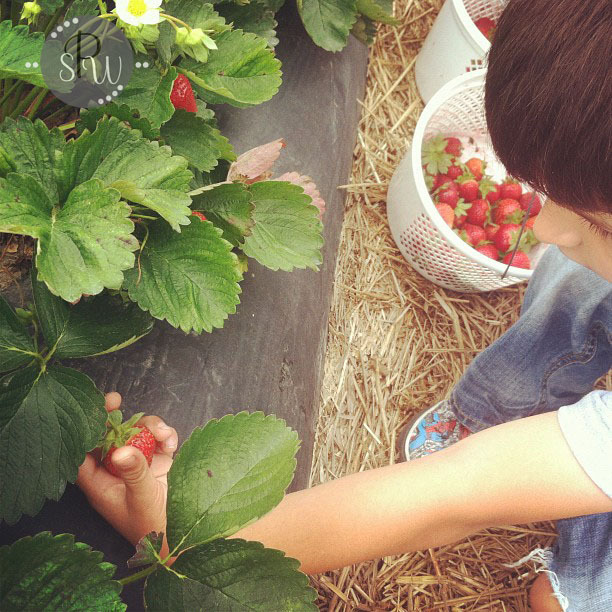 I have never picked strawberries before ... and to be honest, I usually get my produce from the grocery store. I'm from a big city ... LOL! I pick my veggies and fruit from the refrigerated section! 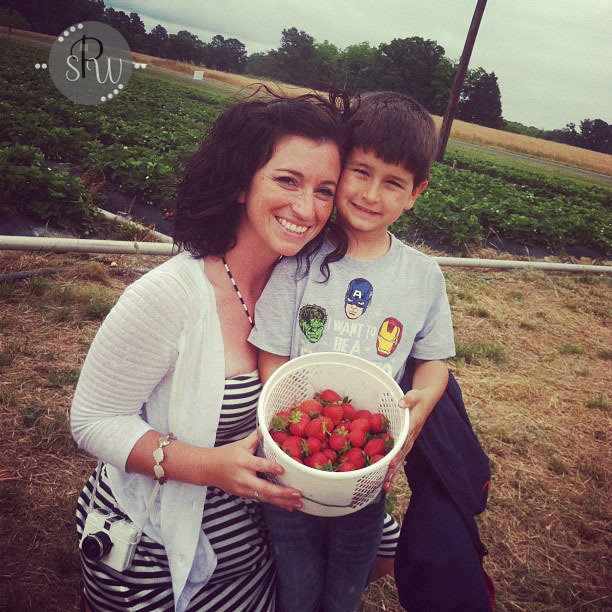 The only other time I picked something fresh was when the family went apple picking. You can see our photos from the adventure HERE. Which brings up another point, I seem to pick fruit only when I have a photo session idea! 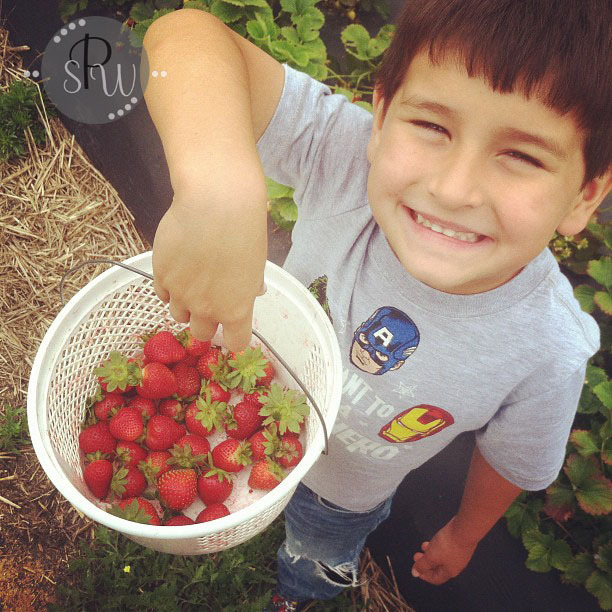 I mean, I don't eat as much fruit as I should ... or veggies ... but the pictures of the kiddo picking fruit is WAY more important to me! LOL! Except, on this trip I didn't bring my camera, a friend did. I've been lazy and haven't gotten the pictures from her yet, but I did do some iPhoneography out there! Here are some of the shots. They were taken with Instagram. And going with tradition, we had to make something with these strawberries ... so, after much wait ... a month and a half of waiting, I made some muffins using the strawberries we picked. The day of the picking, I washed the strawberries, split them up into two freezer baggies and froze them in attempt to use them for smoothies. Like a dummy, I didn't cut off the stems ... so, for a month and a half, the strawberries sat in the freezer because I couldn't use them in my smoothies due to the green stuff.